30min. 153eps. 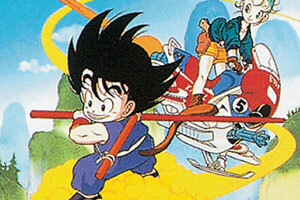 1986 Innocent Goku and his friends set out on a quest to find mysterious Dragon Balls, which are scattered around the world. A wish will come true once all seven balls are gathered. +TVSP 48min. 2eps. 1990 1993 With Goku facing powerful and overwhelming new enemies, his son, Gohan, joins the action, as they fight bigger and more perilous battles. +TVSP 46min. 1eps. 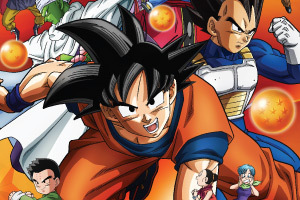 1997 After another set of Dragon Balls hidden in a shrine turn Goku back into a child, he must recover Dragon Balls from across the universe within one year to prevent the Earth from disappearing. 30min. 98eps. 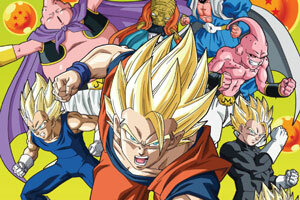 2009 While visiting Master Roshi, Goku and Gohan are attacked by a strange man claiming to be Goku’s brother. The man informs Goku that they are both from another planet. 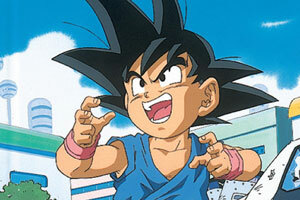 After Goku rejects his demand that everyone on Earth be killed, the stranger kidnaps Gohan. 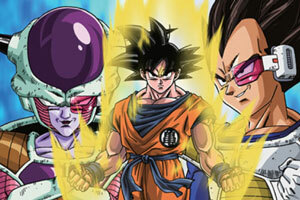 Goku and his friends must once again battle to keep peace in the universe. 30min. 69eps. 2014 Seven years after defeating Cell, Gohan attends high school and becomes a great Saiyaman but during a fight, Spopovitch and Yamu steal his energy to revive Majin Buu. 30min. 107+eps. 2015 (in production) With the threat of Majin Buu gone, Goku and his friends live in peace. When everyone gets together for the first time in a while for Bulma’s birthday, Beerus, the God of Destruction appears and the action moves beyond the universe to a new phase. 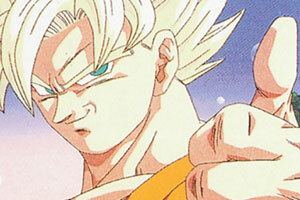 PLAN TO ERADICATE THE SUPER SAIYANS!